The DMP50 GP serves since 2013 industrial and R&D needs. It processes materials like Stainless Steel, Tungsten and highly reactive materials such as Titanium. High detail resolution and accuracy, very good surface finish, low running cost and ease of use are it’ s highlights. Process and work safety is ensured by an purified inert Argon atmosphere and air locks to make sure the powder particles up to 5 µm size are processed safely. The flexible DMP50 GP serves the requirements for R&D work as well as the requirements for stable series production. 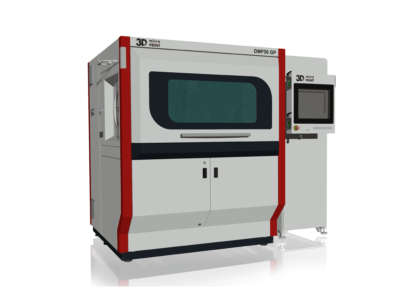 The DMP50 GP is the right choice for your start into the world of additive manufacturing of micro metal parts.